Use these endless discounts to buy things you truly love and need for cold-weather survival. The beginning of a calendar year is the perfect time to initiate a sartorial rebirth. This means letting go of those stuffy garments gathering dust in your closet, and investing in new pieces that excite you. So take that extra bit of holiday cash lying around from a generous grandparent and put it to good use on purchasing all the sweaters, blanket scarves and boots that your heart desires — and that you legitimately need to stock up on because this winter is off-the-charts freezing. 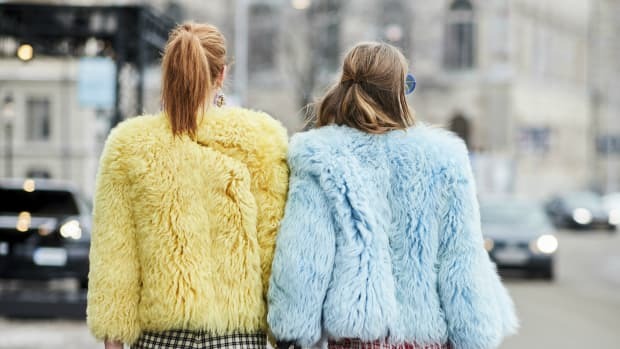 Also, be sure to use the endless discounts from retailers and brands to buy pieces that you truly love and clothes that will add some much-needed color to these bitterly cold, grey days. Happy spending! Abercrombie & Fitch: Up to 50% off on select styles; extra 30% off clearance with code 11260. Aerie: 60% off all clearance. Alpha Industries: Up to 50% off select styles. Alternative Apparel: 25% off everything with code 25FOR2018. Anthropologie: Extra 40% off select styles. Aritzia: Up to 60% off select styles. Assembly New York: Discounts on select styles. Banana Republic: Up to 40% off select styles. Ban.do: Extra 15% off with code 15MORE. Barneys Warehouse: Extra 40% off on select winter styles. Barneys: Extra 20% off select sale styles. Bergdorf Goodman: Up to 75% off select styles. Boohoo: 70% off entire purchase + extra 20% off with code EXTRA. Browns: Up to 60% off select styles. Calvin Klein: Up to 75% off sale. Club Monaco: Up to 60% off sale items. Coach: 50% off sale items. Cos: Discounts on select styles. Creatures of Comfort: Discounts on select styles. Dolls Kill: Up to 70% off select styles; extra 30% off all clearance. The Dreslyn: Extra 20% off sale items with code TAKE20. Eloquii: Extra 50% off sale styles with code XOQ. Gap: Up to 60% off everything. Genuine People: 30% off your purchase with code NEWYEAR30. H&M: 10% off everything with code 4430. J.Crew: Extra 40% off final sale styles with code NEWYEAR. Lane Bryant: Clearance is buy one, get one free. Levi&apos;s: Extra 40% off sales styles with code SALE40. The Line: Discounts on select styles. Lisa Says Gah: Extra 20% off any order $100+ with code NEWYEAR. L.K.Bennett: Up to 70% off in-store and online. Loeffler Randall: 50% off sale items. Loft: 60% of all sale items. Lord & Taylor: 30% off select styles. Macy&apos;s: Extra 20% off select styles with code WKND. Madewell: Extra 40% off with code YESPLEASE. Matches Fashion: Up to 60% off select styles. 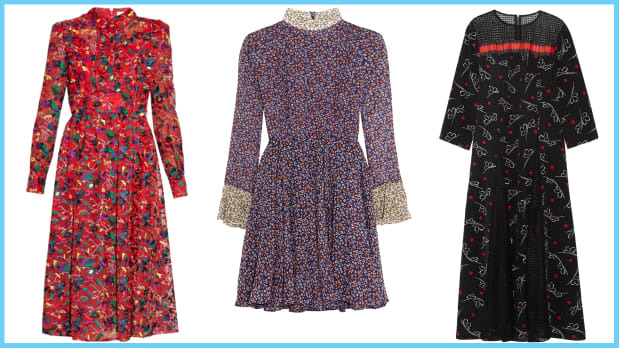 Modcloth: Up to 50% off select styles. Modern Vice: Up to 50% off select styles with code SEMI50. Nasty Gal: Up to 80% off everything. Need Supply Co.: Up to 50% off select styles. Net-A-Porter: Up to 70% off select styles. Oak: 40% off boots with code BOOT40. Old Navy: Up to 50% off everything. Planet Blue: Discounts on select styles. Pixie Market: Extra 25% off sale styles with code 25MORE. Rag & Bone: Up to 65% off select styles with code EXTRA30. Saks Off 5th: Extra 50% off select styles with code WARMUP. Sanctuary: Discounts on select styles. Sandro: Up to 50% off select styles. Senso: Discounts on select styles. Schutz: Up to 60% off select styles. Soko Glam: Discounts on select items. Stylebop: Up to 60% off Fall/Winter collections. The Stell: Discounts on select items. Steve Madden: Extra 30% off sale styles with code EXTRA. Tommy Hilfiger: Discounts on select items. True Religion: Up to 60% off select styles. Uniqlo: 40% off outerwear selections including ULD; 30% off Uniqlo KAWS x PEANUTS collaboration. Urban Outfitters: Up to 70% off select styles. Don't let the cold stop you from missing out on all these hot deals.